Welcome to Grasons Co of Collin County. Estate sales and liquidation services are our specialty, we look forward to serving you. Collin County estate salesOur Collin County estate sales team specializes in providing quality, knowledgeable estate sale services to Realtors, trustees, homeowners, probate courts, estate attorneys, and estate sale shoppers. Our company has performed thousands of estate sales, we invite you to rely on our expertise and compassionate approach as the #1 estate sale company in Collin County Texas. We take pride in what we do by serving our community one home at a time. When you hire our team, you’re hiring an experienced team that will help you transition with care by maximizing the value for your personal items. Our estate sale service team has a vast experience in items sold at estate sales, the experience spans over 20 years. Our owner is a member of the community, we don’t only hold estate sales in Collin County, we also call it home. Moving, downsizing or the loss of a loved one is a difficult time, our clients rely on us as the trusted source during this time because we serve as a communicator and a transition team between all parties involved to insure a stress-free transition with the highest value possible for personal items sold. 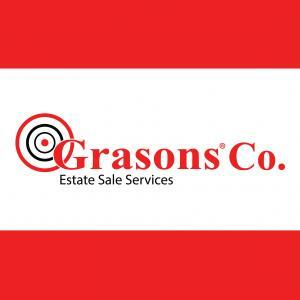 Compassionate, professional and quality service is the key to our success and the success of our estate sale service brand. We look forward to helping you with your next Collin County estate sale. When you rely on our vast experience and dedication, your estate sale will be a successful one. Items we specialize in selling include but are not limited to full houses, tools, vehicles, boats, kitchen everyday items, fine china, fine jewelry, costume jewelry, coin collections, antique furniture, vintage clothing, and more. We find the right buyer for your items by relying on our large following of estate sale shoppers specifically waiting for our next Collin County estate sale. Staging – Whether we use your items or bring in our own be amazed at our professional staging services with a twist. What sets us apart is our extensive experience, professional, and caring approach to our clients. We provide our services under a reputable nationally recognized brand that is driven by advanced techniques and continued education. We are insured to protect you from any liability, and you will receive a list of items sold, your proceeds will be distributed to you within two weeks of the last day of the estate sale. hand flagOur experience, marketing methods, coupled with our large following of buyers ensures your sale will be a successful one. James Burke “Jim” is a proud father of 2 wonderful daughters, married to his beautiful wife Jill for 15 years, Collin County is their home, and the community they respect and enjoy on a daily basis. “I have met so many people in our time in Collin County that have given me and my family so much, owning an estate sale company and having the ability to give back to this wonderful community is a blessing and a reward in itself” Says James. An electrical engineer, a foreman on large commercial buildings for over 15 years, he places a big emphasis on attention to detail, strategical planning, and pride of ownership in a town he calls home. Combining Jim’s knowledge and compassion with the extensive training, continuous support and education by a reputable recognized brand, your Collin County estate sale will be a successful one. We serve the entire Collin County, Texas: Allen, McKinney, Plano, Princeton, Farmersville, Wylie, Murphy, Lucas, Frisco, Fairview, Melissa, Anna, Celina and surrounding areas with professional estate sale services you expect and deserve. This company has posted a total of 18 estate sales. Only the most recent 15 sales are shown.